The 0.86-acre lot at 201 N. Garfield St. sold for $7.65 million. 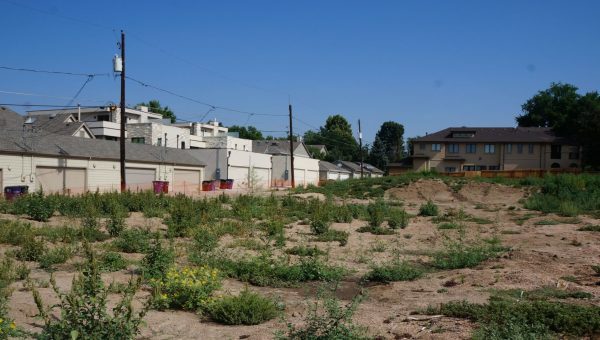 A large undeveloped parcel in a residential section of Cherry Creek has sold for $7.65 million, or $204 a square foot. Garfield Development LLC purchased the 0.86-acre lot at 201 N. Garfield St. in Denver last week, according to county records. Collegiate Peaks Bank provided financing for the deal. The site previously was home to Newberry Brothers Greenhouse & Florists. The business moved to 5301 Leetsdale Drive several years ago. The purchasing LLC was formed by Michael Fancher of Denver-based Iconic Investments. Fancher said he went under contract to purchase the site in April. The greenhouses were demolished several months earlier, he said, when another potential buyer had the site under contract. Fancher said he plans to develop the site for residential use, but declined to discuss the specifics, saying he was still evaluating options. Fancher said his firm has developed student housing in Boulder and is partnering with Craft Companies on Independence, a 920-home master-planned development on 1,000 acres in Elbert County. The property was sold by an LLC controlled by Newberry Brothers owners Paula Newberry-Arnold and son Kien Arnold. Newberry-Arnold did not respond to a request for comment. Several years ago, the family proposed building 30 apartments on the site, prompting hundreds of residents to sign a petition opposing the development. Critics argued the development was not compatible with the surrounding neighborhood, and lacked enough parking, according to KMGH-TV Denver7. The sale is the first large plot of land in Cherry Creek to sell since October, when Denver-based Western Development Group paid $9.2 million for the two-story structure at 146 N. Madison St. and two undeveloped lots to the north totaling 0.57 acres.